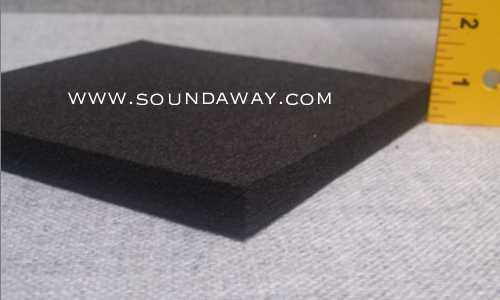 SoundAway Mat, 1/2" x 4', is a dense, soundproofing closed cell foam designed to block and absorb sound. SoundAway soundproofing Mat is a lightweight material frequently used to line interior panels in enclosures, planes, boats, recreation vehicles, and car headliners. SoundAway soundproofing Mat is available in 1/2", 1" and 2" thickness. Also available with a pressure-sensitive-adhesive (PSA) option for a simple peel-and-stick installation. prompt delivery , dampened the noise of my hot tub pump.